Most people are beginning to recognise the benefits that recycling has for our planet and many businesses are now looking for a sustainable waste solution that helps to minimise their carbon footprint and keep our Earth green. But when it comes to business recycling, many companies worry that the cost of waste disposal will make it hard to increase their recycling efforts without increasing costs. However, it pays to run an environmentally friendly business. Running a business recycling programme not only helps your workplace to reduce the impact on our environment but it helps to save you money too. In fact, an environmentally friendly business will become more efficient and have lower operational costs – all the while protecting New Zealand’s environment for future years to come. The reality is, that the decisions we make right now have long-term effects on our earth in the future. Read about the government’s environmental priorities for New Zealand in the next 20 years here. The key to creating a sustainable and efficient waste solution within your business is to change your attitude towards waste. Learn to view waste as a commodity and a resource, rather than rubbish. This ethos should be led from the top and filter down through departments - not only to those producing the waste but also to those involved in procurement and supply. When creating a sustainable waste solution for business recycling, it’s also important to look at ‘value.’ The cost of waste disposal is often measured in dollars and money-saving exercises are made on ‘like for like’ products that often don’t take innovation or value into account. In essence, short-term savings can actually be detrimental to maintaining a creative and efficient waste solution in the long-term. We find that businesses who are prepared to embrace a fresh approach to recycling benefit greater from smarter and more sustainable waste management. Have a clear objective of what your business is hoping to achieve with your recycling efforts. Creating timescales and ways to measure your success means that you and your staff have benchmarks to work towards and it helps you and your team push on to achieve meaningful results. 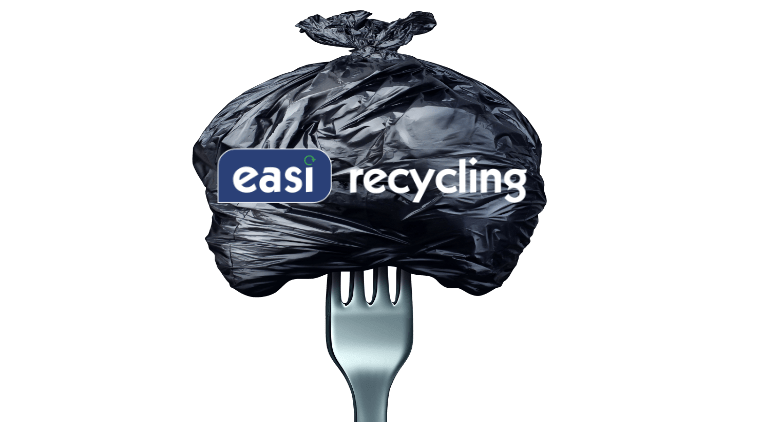 Here at Easi Recycling, we provide waste and recycling equipment to simplify every stage of your waste management. 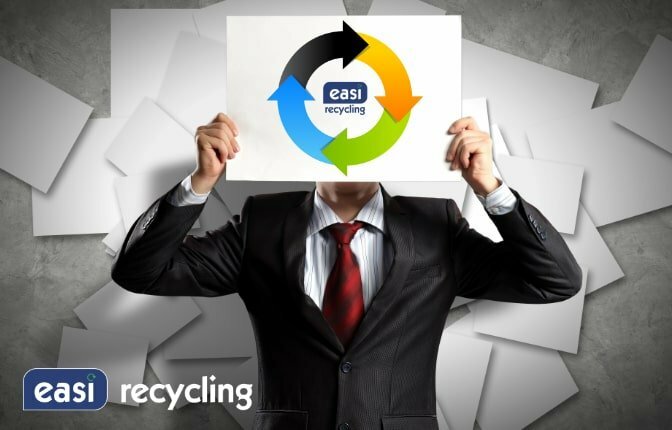 Our aim is to maximise business recycling & efficiency but minimise the cost. By providing us with some basic information about your waste streams, our team can give you an idea of what savings you could make with our ‘Recycling Solution.’ If we believe we can save you money and help increase your business recycling then we’ll provide a ‘free waste survey’ with no obligation. Click here to get started. ‘Thinking outside the bin’ and embracing innovation is what will help your business to create the most sustainable and efficient waste and recycling solution for modern day companies. Why not give us a call today on 0800 342 3177 or click here. Let us help you achieve an environmentally friendly and efficient business.